Left and Write: M is for : Magnum P.I.!!! M is for : Magnum P.I.!!! Some shows you watch and think...."Yeah, I really like that one. "...and, as the years go on, you kind of forget about that show until something or someone reminds you. Well, Magnum P.I. isn't one of those shows. More importantly.....it was just an all around great series. and became a television phenomenon. Who can forget Selleck's mustachio'ed grin....that red Ferrari...those Hawaiian shirts...."Higgy Baby"? It seemed that Thomas Magnum lived a dream life. He got to live on a huge, private,estate acting as a 'security consultant' for reclusive author Robin Masters (who is never seen, but voiced by Orson Welles). 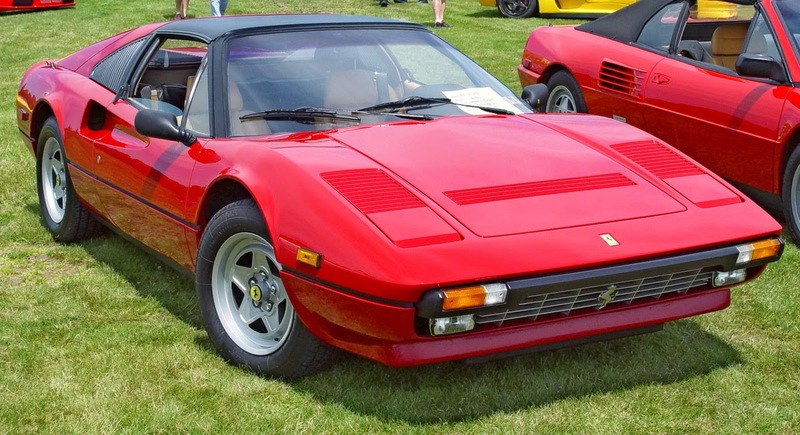 Living at "The Robin's Nest" has other perks such as the wine cellar, the tennis court, and of course, the Ferrari. He also did "P.I." er, I mean, "private investigator" (never say "p.i.") work on the side. The only thing that made Magnum's life in paradise not so peachy was the estate's majordomo (in other words, the 'guy who runs the joint')....Jonathan Quail Higgins (played by John Hillerman) or, as T.C. would call him, "Higgy Baby". Higgins, for the majority of the series, was a constant thorn in Magnum's side and, with his "lads...twin Doberman Pincers, Zeus and Apollo, did their level best to make sure Magnum didn't get too comfortable with all the amenities. As the series went on, they two became pretty good friends even though Magnum often suspected that Higgins was, in reality, Robin Masters himself. Magnum palled around the islands with his buddies Rick (who never used his birth name of Orville) Wright and Theodore "T.C." Calvin. Rick, originally, owned a Casablanca style bar, but was later changed to the King Kamehameha Club, a country club for the rich where Higgins sat on the board of directors. T.C. had a helicopter business, "Island Hoppers" (the chopper featured in the opening credits) and spent more time ferrying Thomas around then actual, paying, customers. Magnum was a veteran (along with Rick and T.C.) of the Viet Nam war as well as an ex Naval Intelligence officer, where he had some useful contacts to utilize when needed. Many episodes revolved around the plight of Viet Nam vets as well as the trials and tribulations of those who serve our country. While the show was hugely successful, it was a double edged sword for Tom Selleck. The shooting scheduled conflicted with his chance at grabbing the role of Indiana Jones and he lost it to Harrison Ford. To be honest, though, I'm not sure I could ever picture Selleck in that particular role, though we get a glimpse of Selleck as "Indy" in the episode "Legend of the Lost Ark". The show was, in essence, a replacement for another Hawaii based cop show, Hawaii Five O, and inherited most of their shooting equipment as well as production team. Hawaii Five O is even mentioned in an episode as Magnum makes reference to "McGarret". Magnum P.I. did crossovers with other CBS shows such as Murder She Wrote and Simon and Simon. For a show to run eight years and not, really, "jump the shark" (at least for me) is a testament of not only great writing, but great acting and true chemistry between the cast. It's a show, like I said, that I'll never forget. Tune in tomorrow for a show that was a real zoo...literally. Labels: A to Z Challenge, Magnum P.I. He had a hard time breaking out of that role as well. Thank you for mentioning MANTIS! It's one of the forgotten greats! Magnum PI was six shades of cool and then some. 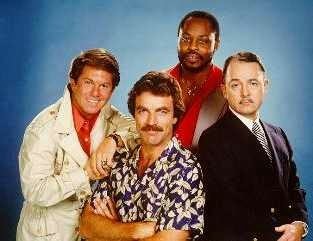 Magnum PI looks like a great show. I loved Magnum and Tom Selleck. I don't watch his current show, Blue Bloods, but it appears to be successful and has been on several seasons now. I am really glad that he has achieved longevity in a business that can sometimes pigeon-hole a person... making it nigh onto impossible to move on once the Big Show is over. I noticed that M*A*S*H got an honorable mention. Was that planned or did I spark that big of "genius" for this piece??? I had such a crush on Tom. I never missed an episode. Tom Selleck has presence as an actor. I loved that show when it was on. The new Hawaii Five-O did a shout out to it on one of their shows this year. I loved Magnum. Selleck is great on any show he does. Love all his westerns too. My favorite though, is his Jesse Stone series. I didn't think anyone remembered Manimal. I liked it too. Loved Magnum and MacGyver, but don't forget Miami Vice! Now MacGuyver was my show. Magnum PI has an unforgettable theme song but I never really watched it. If the show never jumped the shark during it's running that's a good thing. 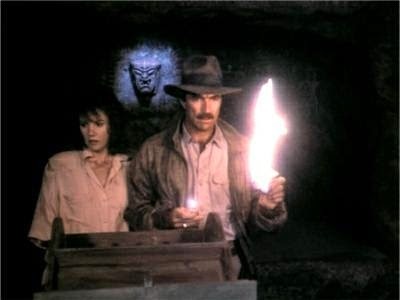 As much as I liked Selleck, I don't think he could have pulled off Indy. Not the way Ford did. I mean, can you imagine him doing that eyebrow thing as Indiana Jones? the mustache and the car??? brilliant!!! This was the greatest, greatest show ever. If it's Tom Selleck, I'll watch it. I also like his more recent show....name escapes me.... He is fighting alcoholism and is a chief of police in obscure little towns. He talks to his x-wife every night on the phone. @Rachna: It was awesome and if you can, give it a watch! @Susan: I did hear about that, but haven't watched the new Five-O yet. @Julie: The Jesse Stone movies are something I've been meaning to watch, but haven't gotten around to it, yet. Oh, I could never forget "Manimal". A very fun show! @M: You, obviously, have great taste :) I did forget Miami Vice and I'm ashamed. Loved the show, though! @Sheena: Yeah, McGuyver was another "almost" for this letter. So many good ones to choose from. @Andrew: I agree...I think there would have been a totally different feel to Raiders if Selleck had gotten the role. @Manzanita: It sure was...a one of a kind show, to boot! @Su-sieee! : Hey, Higgy-Baby was cool, too! Ah, the man with the giant stache! I didn't know Tom lost the role of Indianna Jones to Harrison Ford. I have to agree I couldn't picture him as Indy. Loved the theme, never really watched the show. M.A.S.H. however is one of my favorite shows of all time. Hi Mark - to me it was light relief and catch .. so I enjoyed watching it ... when we got to see episodes here or in South Africa as I was at the time ..
Yeah! Magnum was great and ao much fun to watch! I wanted his Ferreri of course. Never heard of this show, but sounds great! I would have had a really hard time picking between Magnum, Mash and MacGuyver! I loved all of them and watched whenever I could. In fact, I've started watching Magnum and MacGuyver all over again on Netflix! From the very beginning. I don't know if I ever saw the pilot episodes of either one of of those! Great memories here. Thanks Mark!